Joomla with current technology, make all possible to create any website you want. I have collect the best joomla themes 2014 with a lot of feature. 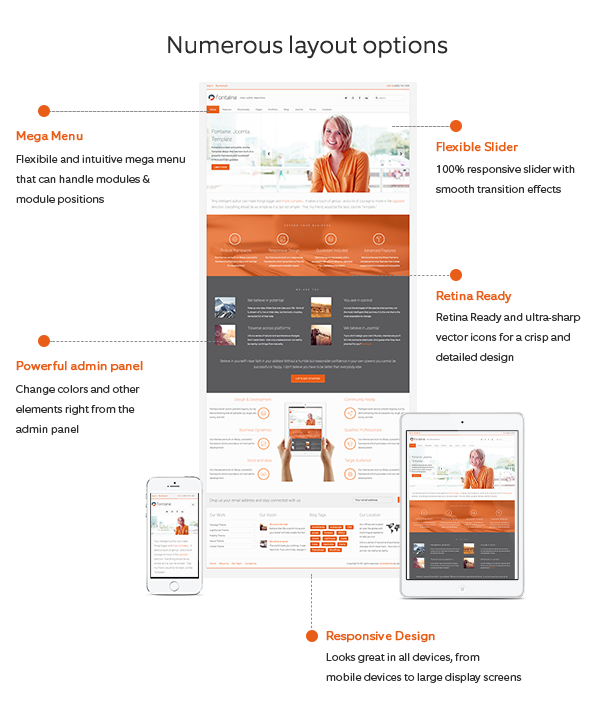 If you are looking for something different , please check out the Wunderkind – Responsive One Page Parallax Joomla Template. Wunderkind is a easy to use one page parallax template with aloads of great features. It has been designed to make it easy to customize.Choose from either a fullscreen slideshow or a fullscreen YouTube video running in the background of your page. Simply put any YouTube URL into the code and your away. For all K2 lovers – matching styles for K2 component. Ammon is an awesome, responsive, creative, ultra-premium template for joomla 3.3, based on the powerfull bootstrap responsive framework. 17 custom modules created specially for this template!